Bob Wills, the "daddy" of Western Swing wrote and recorded "San Antonio Rose" as an instrumental on 28 November, 1938, together with his group, the Texas Playboys. 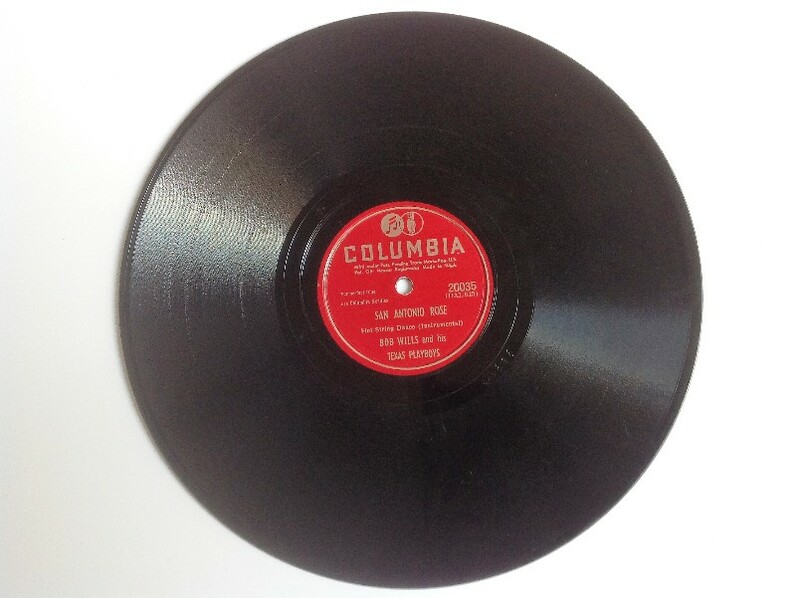 As was the ownt at the time, the recording was issued as a single on several different labels, including Vocalion 04755, Okeh 04755, Conqueror 9226, and Columbia 20035. The singles normally contained matrix DAL 615, but some issues of Conqueror 9226 used matrix DAL 618 instead. "San Antonio Rose" was based on an old fiddle tune called "Spanish Twostep," Bob Wills took the number and made it his theme song. Two years later Wills rerecorded the number, this time with vocal by Tommy Duncan, as "New San Antonio Rose," released as a single on Okeh 05694. Elvis is known to have sung the song on at least one occasion in concert, in the midnight show on 1 September 1970 in Las Vegas: a recording exists. The version on Home Recordings was made in 1966 at Rocca Place, Hollywood, where Elvis often stayed during filming.